You change the oils and filters in your car, you wash the dishes and scrub the bathroom sink. You take a shower and you make sure to clean between your fingers. But how often do you cleanse your body from the inside? The body becomes a storage site for chemicals as it is exposed to toxins in our environment, from cigarette smoke and traffic emissions to food pesticides and chemicals in personal care products. The accumulation of these harmful substances takes its toll on our health and vitality, and eventually leads to a host of problems; but with some warning signs. Symptoms that may indicate your body needs a detox include lethargy, headaches, poor concentration, fatigue, infertility, constipation, skin rashes, eczema, allergies, depression, weight gain, muscle aches, and PMS, along with others. So what exactly is a “detox”? Detoxification is the process of purifying the body of compounds that have a detrimental effect on cell functions or structures. 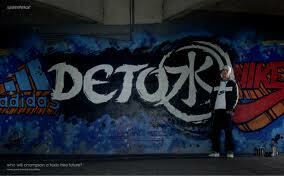 When one starts the process of detoxification, the body begins to discharge excesses that have been carried for years. According to ancient healing traditions, spring is recognized as the prime season for cleansing the body because the rhythms of the body coincide with the rhythms of the earth. The traditional Chinese medical model tells us that the body changes in response to the seasons of the year, just like every other living thing in the environment. Spring, for instance, is the time for purifying the liver, which in modern physiology is the main organ that houses toxins. Spring is also seen as a time of birth, rejuvenation, and purification. Intuitively this makes sense since spring follows winter, which is a time of storing away, preserving, and conservation. It is no wonder so many people feel dragged down by extra pounds they have packed away during a long cold winter season. Another reason spring is such an ideal time for cleansing is because detoxification procedures generally have a cooling effect on the body. This change in body temperature can be balanced by the emerging warmer climate, but would otherwise cause discomfort during the winter. But despite the advantages of the spring, and the exception of winter in many cases , a detox can be done at any time of the year. Ideally, a complete body detox should be individually tailored for your specific illnesses and be supervised by a trained healthcare professional. This is especially important if you want to enhance the procedure with fasting, homeopathics, herbs, and supplements, or if you have never detoxified your body before. Although many of these substances have a relatively harmless and wide therapeutic range, not all do. You should also be aware that you may not feel well during the initial period of detoxification as your toxic load is being mobilized prior to being excreted. Symptoms may include more or less of the following: weakness, headaches, nausea or lightheadedness. It is possible to detoxify in three days to a week under controlled conditions, although there are a few gentle daily practices that can be incorporated by all to assist the body in a long-term spring cleaning. These helpful tips will keep your systems clear and in good working order. Once they’re all in good shape, you will feel energetic and your body will be resilient enough to overcome a multitude of other illnesses. Certain herbs, vitamins and homeopathics are valuable in the process of detoxification, and specific juices are often advised depending on the situation. For detoxification in patients with an ulcer, for example, you may have heard of raw cabbage juice being used–juices for other conditions include apple, lemon, carrot, and grape. Another popular plant people often hear about is Milk Thistle, a special plant that prevents the stagnation of bile (cholestasis), the likelihood of stones being formed, and the systemic retentions of toxins. Milk Thistle is most potent when it has a silymarin quantity of 70 – 210 mg, but a safer method to use it for those who are unsupervised would be in the form of a mild tea. Other safe teas include alfalfa, burdock, rosehips, and dandelion. Dandelion–rich in vitamin A, C, calcium, and potassium–is an easily accessible and fun plant to use. Medicinally, the roots can be squeezed into a juice, dried and extracted in a tincture, put into a capsule, or simply made into a tea three times a day before meals. Energetically, dandelion is a cooling herb that helps drain the liver. It is a diuretic, bitter, mild laxative and blood purifier. Exercise. Stretching stimulates and unplugs your lymph glands, which is your body’s plumbing system, flushing and removing waste so that your immune system runs smoothly. Aerobic activities help your lungs eliminate toxins through the breath and your skin to release toxins through sweating. Get plenty of rest, and a nap is a good idea on the first few days of your new routine. Drink plenty of water–it’s one of the best ways to eliminate toxins from your body. Water is the medium through which the kidneys excrete waste from the blood. Adequate fiber intake is a very important agent in supporting detox. Current cancer research now recommends 40 grams of fiber on a daily basis to prevent cancer. Most people who do not eat whole grains and five to seven servings of fruits and vegetables a day do not get enough fiber. White bread, processed foods and quick meals seem to be the norm, which are all lacking in fiber content as well as other nutrients. Fiber binds heavy metals and other substances in the bowels so that they can leave the body through the stool. A person who does not have 1 to 3 bowel movements a day is not regular and has increased exposure to toxins that should not be hanging around in the body for so long. The good bacteria in the colon are also nourished by the fiber in whole grains, fruits, and vegetables, and this in turn reduces gut-derived toxins. Switch to using whole grains in your cereals and breads and slowly include a higher ratio of vegetables in your meals. Snack on a piece of fibrous fruit instead of a chocolate bar, and watch how much better you feel! Ultimately, if you want to detox on your own – and you don’t have serious health problems and are not on medication or pregnant – sticking with the above recommendations will make a huge difference. Otherwise, people with targeted health concerns or those who seek to detox specific organ functions should have their program designed professionally.